Before long, the 2018 winter wheat crop will be seeded across the province (Figure 1). Long-term research at the University of Guelph’s Ridgetown campus shows that winter wheat in rotation provides an additional 10 bushels per acre to corn and 5 bushels to soybeans. At current crop prices, that means an extra 107 dollars per acre over a rotation. What other benefits does wheat provide? And how might having wheat in rotation be positive from a soil fertility perspective? Firstly, wheat in rotation improves the nitrogen use efficiency of corn. 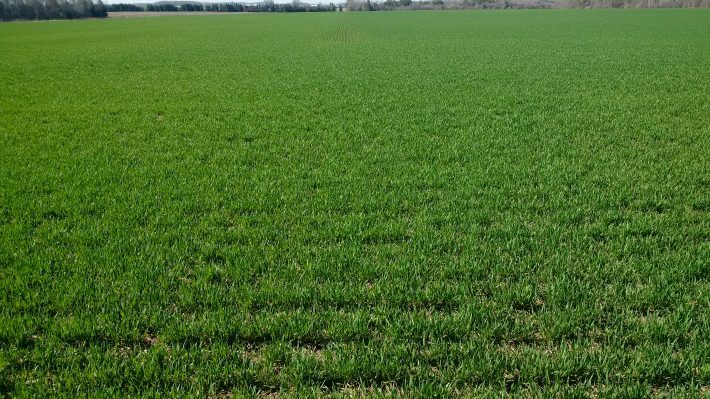 Recent research from the long-term rotation and tillage system trial in Ridgetown demonstrates that winter wheat in rotation reduces the maximum economic rate of nitrogen, or MERN, for corn. Between 2009 and 2013, the average MERN was 16 to 30 lbs/ac less with wheat compared to a corn-soybean rotation; in other words, it took less nitrogen to produce more corn. Wheat also provides an opportunity to seed a cover crop. 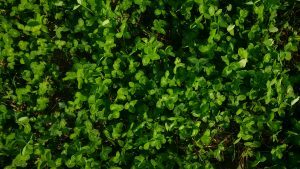 In the case of red clover (Figure 2), the economics are clear: a full stand of red clover provides a nitrogen credit of 65-80 lbs per acre to the following corn crop. If red clover establishment is difficult, another cover crop, such as oats, can be seeded. Although oats will not provide any nitrogen, its fibrous root system will set up the next crop with improved soil structure – this is particularly helpful in dry years, where a good root system is critical for nutrient uptake. 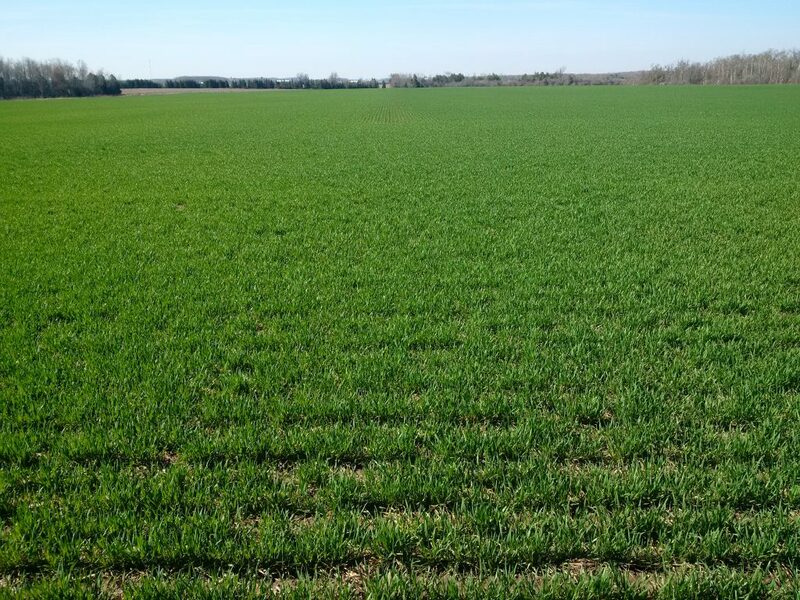 Winter wheat in rotation is also beneficial from a soil organic matter standpoint. Ontario research has generally found that the more frequently a small grain like wheat is in rotation, the higher the soil organic matter. 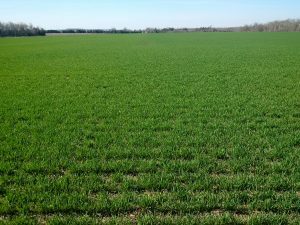 Roots and belowground residue tend to contribute more to stable organic matter than aboveground residue, which may explain the positive effect of deep-rooted wheat. Organic matter is an important source of nutrients such as nitrogen, sulphur, phosphorus and boron. Finally, having winter wheat in rotation provides an excellent opportunity to address soil test levels. Use the period after wheat harvest to take soil samples. If you have soil test levels that have slipped in the last number of years, post-wheat harvest is an excellent time to make a nutrient application. 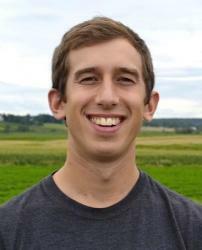 A recent review of decades’ worth of Ontario research has shown that when soil test phosphorus is within the range of 12-18 ppm (Olsen), starter fertilizer rates (i.e. 20-30 lbs P2O5/acre) achieve the most economic response for field crops. The same is true for potassium when levels are between 100-130 ppm. More recent research from OMAFRA/University of Guelph long term P and K trials suggest that slightly higher soil test values (e.g. >20 ppm P and >120 ppm K) may be worth pursuing in some circumstances. Regardless of your field’s soil fertility status or your fertility plan, broadcast fertilizer applications made in the summer after wheat harvest are at much lower risk for environmental losses relative to applications made in the late fall. There you have it – a few more reasons to keep wheat as a regular part of your crop rotation.